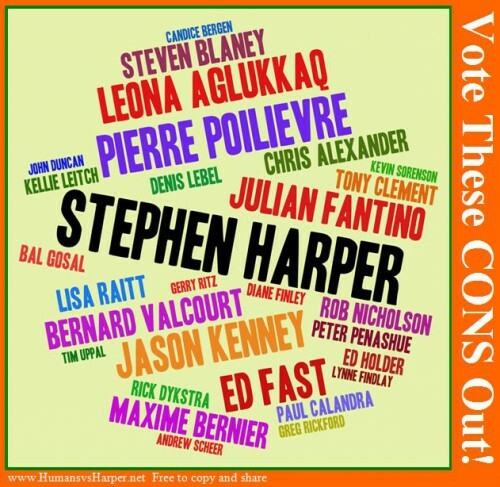 Here we decided to echo all the wonderful STOP Harper messaging that has criss crossed the country for years by naming all the top rank Tory candidates we all want to STOP – the elite of what we now call the Con Party. We know them collectively as We Who Obey and individually as MPs and cabinet ministers who never did and never intended to do a good job for all the Canadians they were sworn to serve. And, since honesty is always the best policy, we’re gladly confessing that we want to STOP every single Conservative who is running for federal office from sea to sea to sea. That sure would be one hell of a shining moment! Humans vs Harper has noticed that a new kind of Twelve-Step program has sprung up all over the land. Harper-No-More offers support groups for people who used to vote Conservative, but now deeply understand they’ve hit bottom and need to change their ways. 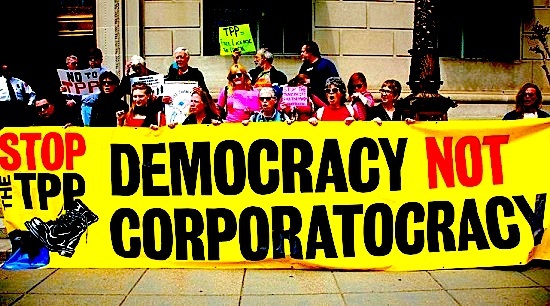 Here at Humans vs. Harper, we have not read the text of the secret Trans Pacific Partnership (TPP) trade deal. We’re willing to bet that you have not seen the highly complicated thousand-page-plus text either. Obviously, the 12 governments negotiating the deal have the text. And, it’s highly likely that the dozens and dozens of corporate lobbyists working to make sure the deal immensely strengthens corporate power internationally have also seen the text. It’s worth noting that the full text of the 1988 Canada – U.S. free trade agreement – our first ever free trade agreement – was publically available for months before the deal was finalized. Conservative Candidates don’t show up for all-candidates meetings in ridings all across the country. Someone orders them not to attend. Do the orders come from Harper himself, or is someone else pulling the strings?